Serve them with coleslaw and French fries or potato chips for a fabulous meal. Heat the oil in a large skillet or saute pan over medium heat. Crumble the ground beef into the skillet along with the onion and bell pepper. Cook until it is no longer pink and the vegetables are tender, stirring frequently. Add the garlic and cook for another minute. Stir in the ketchup, water, tomato paste, Worcestershire sauce, and brown sugar. Reduce the heat to low and simmer for 5 to 10 minutes. Taste and add salt and pepper, as needed. Separate the tube of biscuits and roll each one out to form a flattened circle (about 4 to 5 inches in diameter). Fit a biscuit round into each of the ten muffin cups, pressing over the bottoms and sides as far up as the dough will reach. Fill each cup with about 1/4 cup of the ground beef mixture. It's okay to mound it a bit if you have some surplus filling. 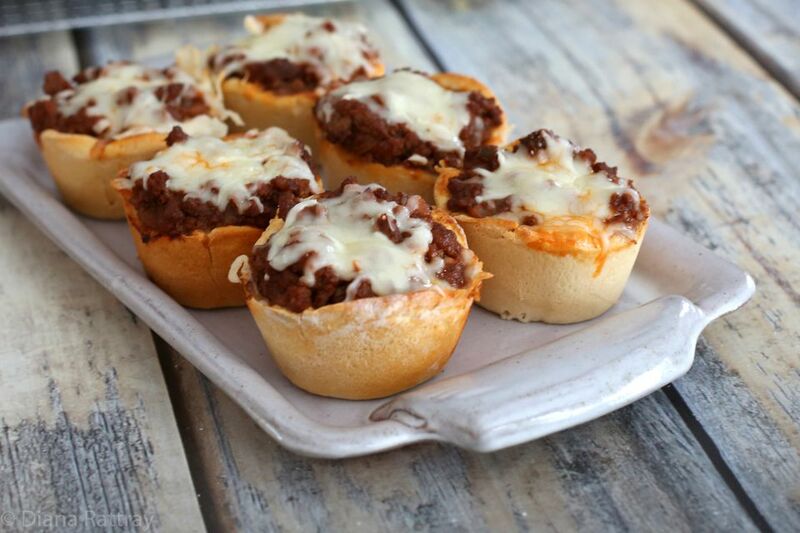 Bake the sloppy joe cups for 12 to 13 minutes. Top with the shredded cheese and return the pan to the oven. Bake the sloppy joe biscuit cups for another 2 to 3 minutes, or until the cheese has melted.